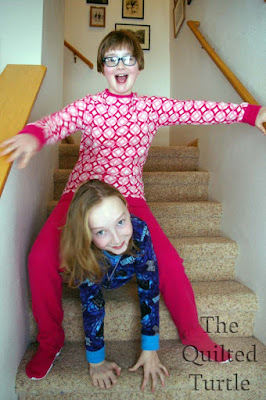 Up until a few days ago we hadn't pulled out the warm jammies, but normally they are a must in Northern Michigan. Both kids love footed PJs, but I've never attempted to make them before. Which is weird given how many Christmas PJs I've made. This year I was running a bit behind so the kids got New Year's Pajamas. Now I know, when I decide to make my skinny son the size eight PJs with the size 12 length thinking I'll get a perfect fit that way, I need to use the size 12 neck opening, too. Thankfully he loves them anyway. How could he not - they're footed Dr. Who pajamas, which according to my son makes them awesome. 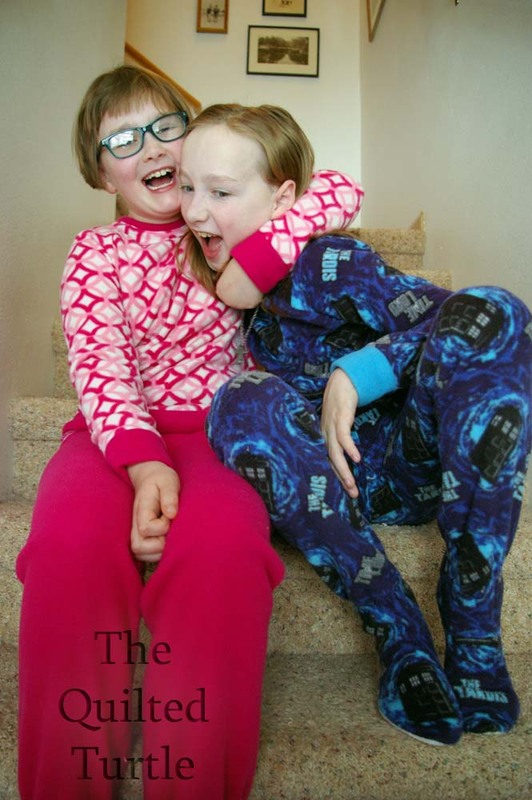 The pattern is Happy Feet Footed Pajamas by Peekaboo Patterns, available here. (Go buy it now!) I love this pattern and have now made four pair ranging from newborn to size 12. They were super easy; the raglan sleeves make the top quick and simple with no armscye to ease or sew and each leg is just three pieces. I sewed both pair in one evening. 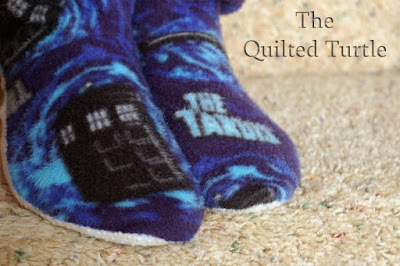 If the pattern came in my size - I'd have a pair! I did receive this pattern for free, but the opinions expressed in this post are my own.